Every so often it seems we have a fridge full of left-overs – enough for one person, times three or four dishes. Then we warm up whatever we took from the freezer, usually adding to it in some way. A little package of saucy vegetable curry has some water and a couple handfuls of lentils added to it; we’ll serve it as a new dish with rice and flat breads (from the freezer). Cook a chopped onion, some celery, carrot, mushroom, tomato, zucchini, potato, squash, cauliflower, greens … anything you like or have on hand. Add some lentils, or beans. Do you have a little piece of meat that nobody is going to eat? Cut it up and toss it in. You can add as much or as little as you want, as well as any spices you feel like. Be sure to include a handful of chopped fresh herbs, like parsley or cilantro. 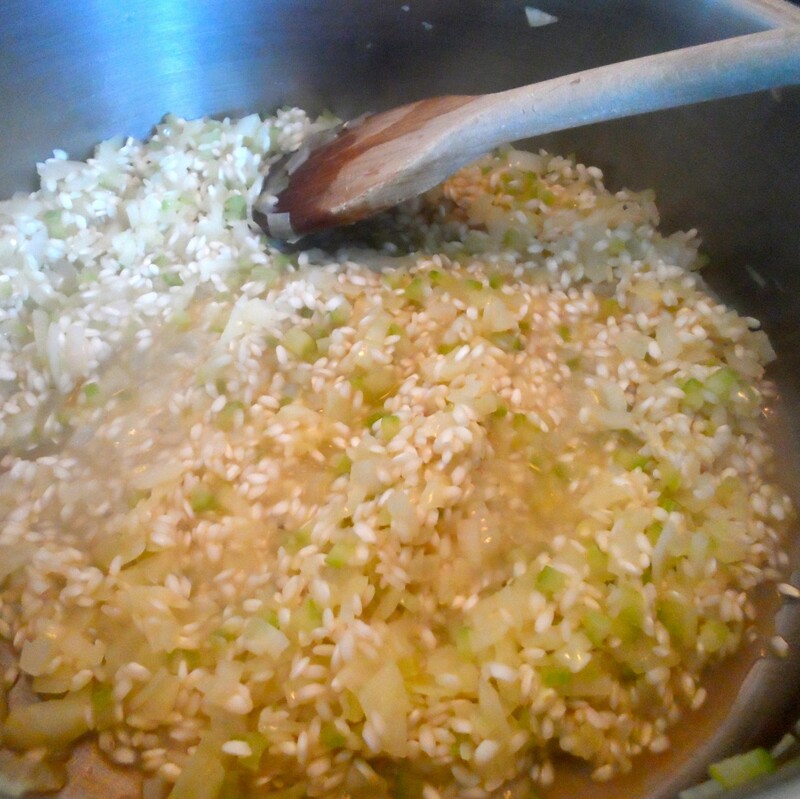 Add the package of left-over risotto from the freezer and some broth, or even water since the rice is already flavoured from its initial cooking. Simmered with the lid on, the frozen block of rice will slowly defrost and mix with the other ingredients. Soup! 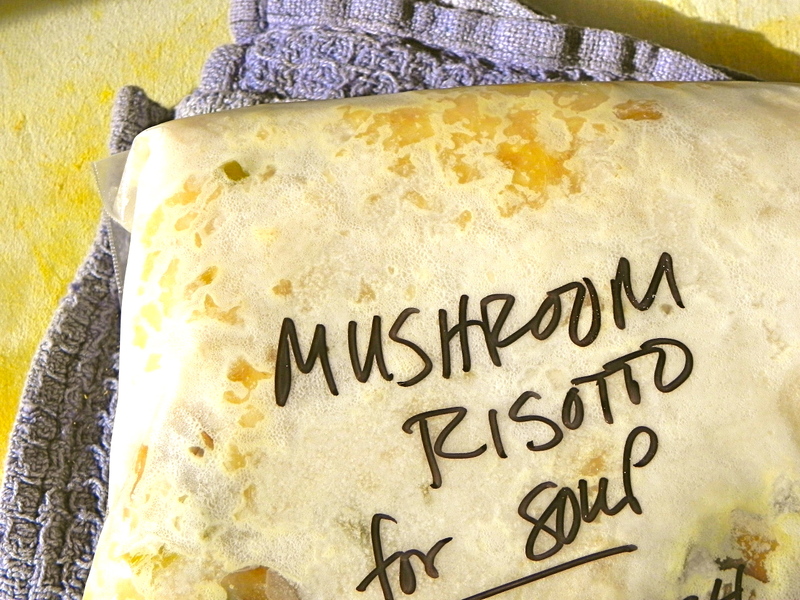 Just as other frozen left-overs can save the day – or dinner – so can risotto. 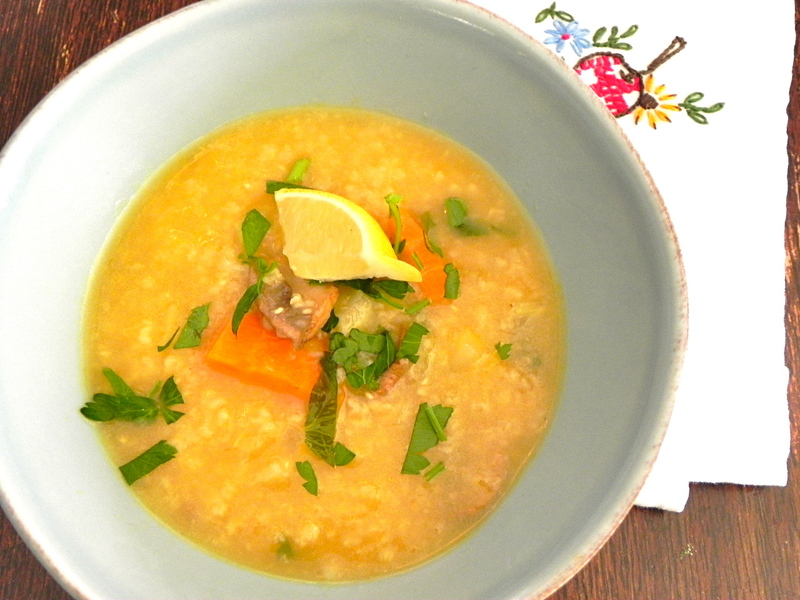 I could go for a bowl of risotto soup right about now. Perfect lunch for a rainy-snowy day. This is a perfect dish for the early, extra-cold weather we’re having. Great idea! I think soup is perfect for extra-cold days; thanks for visiting.